Various novel functional materials and low-cost device fabrication techniques have emerged in the field of thin-film electronics recently. Printing technologies, which are traditionally utilized in media and art work, can be employed in sophisticated device fabrication processes for unconventional electronics. Thin film active semiconductors, which are solution-processable, are crucial components for low-cost, large-area electronics, and such semiconductors can be deposited /patterned by printing. In this talk, I will present several printing technologies that can be utilized in the fabrication of unconventional electronics. Then, I will show a few examples of thin-film transistors and circuits fabricated through use of the cost-effective inkjet printing technique. Bongjun Kim is an assistant Professor at Sookmyung Women’s University. He received the Ph.D degree in Electrical and Computer Engineering from the University of Texas at Austin in 2015, the M.S. degree in Electrical Engineering from Korea Advanced Institute of Science and Technology (KAIST) in 2010, and the B.S. degree in Electrical and Electronic Engineering from Yonsei University in 2008. 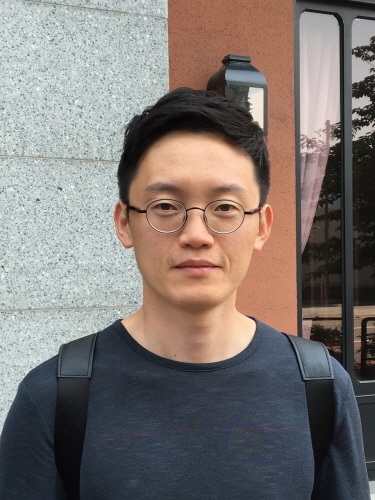 Prior to joining Sookmyung Women’s University, he was a research associate at the University of Cambridge. He was a research engineer at Hynix Semiconductor from 2010 to 2011. His current research interests include printed and flexible electronics, thin-film transistors and circuits based on low dimensional materials.